(Sunday, 2:30 PM) I posted that same first picture on April 16th. By necessity, I went to my favorite bird supply store for more Finch food. 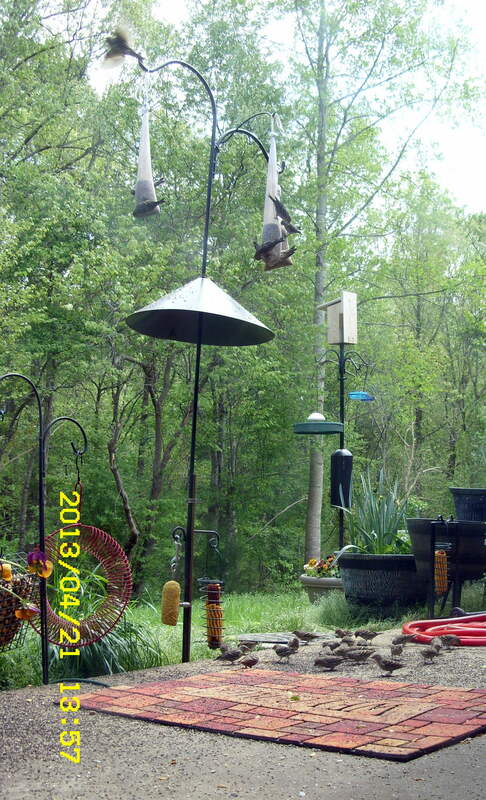 I added two more “socks” so a total of four “Finch feeders.” The birds act like they are terribly hungry!! I can’t count the number of birds on the feeders–and on the patio eating the seed that falls from the feeders. 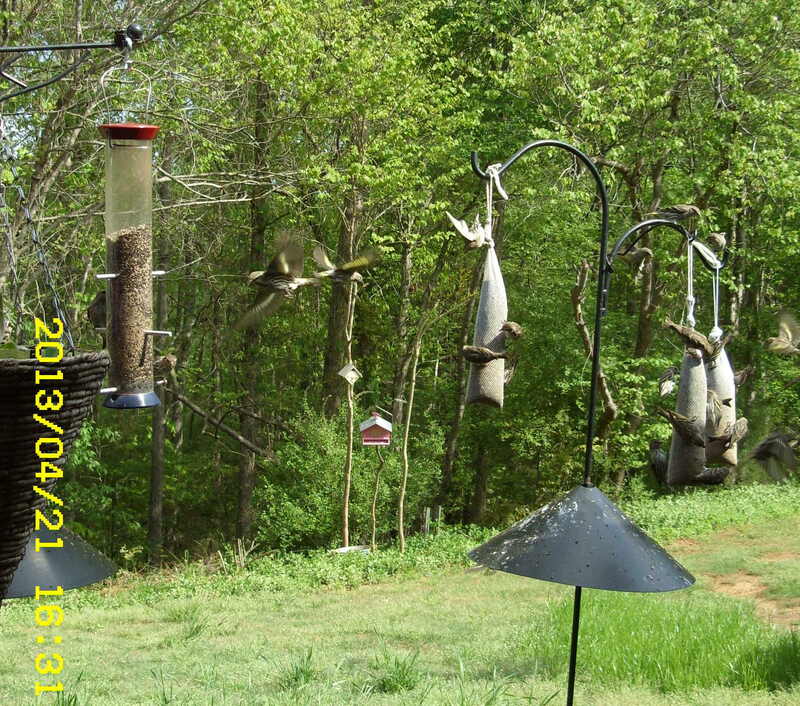 I refill the feeders every day!! 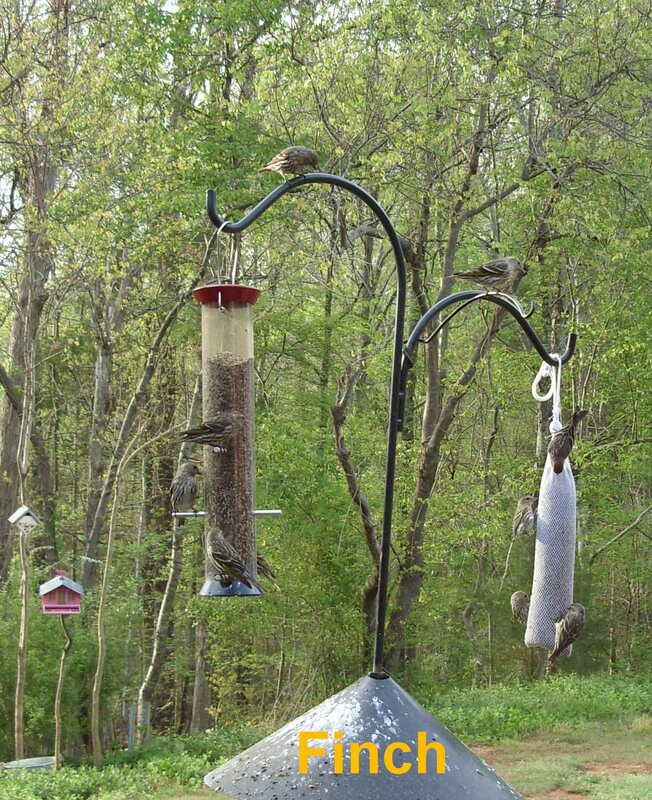 I labeled them “Finch” in the earlier picture but someone said “no, not Finch.” And they aren’t exclusively in my yard because I’m generous with feed; they are in neighboring yards on feeders with the usual wild bird seed. You’ve heard me say “Enquiring [sic] minds want to know.” The animals know about an earthquake before it happens (and similar events). What are the birds sensing?? Why are they frantic for food?? I’m a novice at bird watching (and backyard gardening). Perhaps the behavior is not unusual. 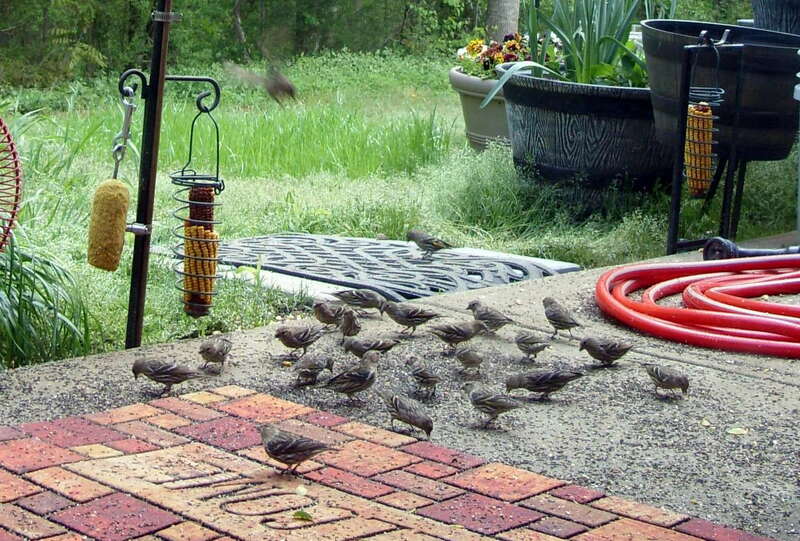 I haven’t seen this many birds in my yard previously. Postscript, 4:00 PM: I just refilled… and emptied the $12. five-pound bag of Nyjer seed and fine sunflower chips. In less than two days, going, going, gone.